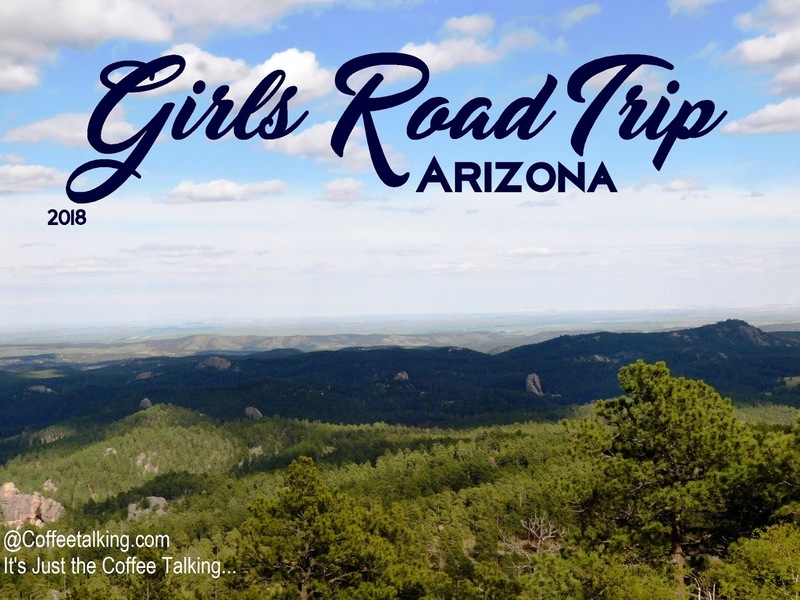 If you've been following me over the past couple months, you know I was debating what new hiking shoe/boot to purchase for our Girls Road Trip 2018. I spend hours researching, reading and reviewing because I have more hours than I do money. I needed a boot or shoe that was good quality but yet affordable. I also needed a shoe or boot that would be good for the type of hiking and walking we would be doing. In the end I bought two; both a boot and shoe. The boot I already covered a couple posts ago (Timberland Women's Chocorua Trail Boot) which I love (love love love) but we will be hiking where I might not want a boot; and would appreciate a low hiking shoe to handle the dry, rocky trails in expected 80 degree weather. The shoe I decided on was a very affordable yet well reviewed Salomon Women's Ellipse GTX W Hiking Shoe in Thyme/Asphalt/Dark Green . Asymmetrical Sensiflex™ - Enables shoe to accommodate a greater range of foot shapes with a precise, comfortable fit. The reason you see TWO pairs of Salomon's in the top photo is because I ordered my pair and wore them a couple times - enough to know I was happy with them and think they will do fine on the two week road trip - and my daughter couldn't decide on a pair but really loved mine so she decided she wanted a pair as well. Yes - we now own two pairs of these! Just .5 size difference between them. Athletically inspired details and specific fit make this lightweight waterproof hiking shoe ideal for women who like to move quickly in the mountains. Women's fit - Weather protection - Grip. The Eclipse GTX provide great heel stability, cushioning and support making this boot ideal for continuous days of hiking. An ideal shoe for fast hikers for 1-3 day hikes. The Eclipse GTX Walking Boot is built for women from the ground up. The fit comes from an asymmetrical support structure to combat pronation, whilst a sensiflex insert accommodates the natural expansion in the forefoot that is common in women, and a wrapping tongue that stays in place. With a GORE-TEX construction, feet stay dry from the outside as well as from the inside. Without compromising great breathability, an abrasion-resistant lining allows excellent air flow and quick drying properties. Not only that, these walking boots are highly supportive and have great stability through the heel foam. A material bridge connects the tongue to the upper eliminating debris into the shoe for added comfort and protection whilst protective material around the outside of the shoe acts as a mud guard. A protective heel cap and toe cap provide stability and additional protection. The Eclipse features a non-marking contragrip which delivers optimal traction on a variety of surfaces. A grippy new lug pattern gives security in all conditions and surfaces. And with GORE-TEX® weather protection, it is ready for year round action. The shoe seems a little stiff and 'hard' rubber at first but I found after wearing them for just a few minutes, my feet acclimated to them and they seemed fine. Assuming we have dry weather on the hiking/camping excursion these are going to be perfect for those conditions. I'm a little apprehensive about how they might do in heavy rainstorms (not expecting any - as we will be in very dry areas of Arizona - but it's the weather; it could change at any time!). I can tell from wearing them in wet conditions around my own home state that they gripped very well on slippery rock and concrete, but I'm not sure how they would do on the slippery 'slimy' goo that results from rainfall in that area of the US. I guess I'll find out and have to do an update later this summer! These were reviewed to fit 'big' and you did not need to go up a size. This made me VERY nervous because going up about half size is what I've found to be the best idea for hiking boots and shoes. After a lot of hesitation I went with the majority of the reviews and ordered my normal size (I wear mostly size 9's and some 8.5 in all shoes.) I ordered a 9. While I don't think they run 'big' - I personally feel they run pretty true to size but are made a little wider or roomier. Perhaps to accommodate padded hiking socks (?). I thought at first my heel was going to slip and out of them but again, as I mentioned above, after wearing them for a bit, it seemed they and my foot acclimated to each other and I didn't notice it anymore.